For their first exhibition with Blain|Southern, Jake & Dinos Chapman expand on their career-long preoccupation with Francisco Goya’s series of etchings, The Disasters of War.The Disasters of Everyday Life presents, for the first time, their latest body of sculptural work in a dialogue with three full sets of Goya’s prints, each set substantially reworked in a different way by the Chapman brothers. The Chapmans’ oeuvre represents a prolonged philosophical investigation into the turmoil and violence of contemporary existence, placing them in a tradition of protest and pessimism in the visual arts alongside artists such as Goya, Bruegel and Otto Dix (both Bruegel and Dix painted works titled The Triumph of Death). Dix’s paintings revealed the grotesque face of capitalism inherent in both world wars. His series of print The War sits alongside Goya’s in its extensive, graphic depictions of the battlefield. What then are the battlefields of the twenty-first century as depicted by Jake and Dinos Chapman? We live in an age when the American president delivers midnight tweets to taunt his foes, and you can choose to see beheadings on YouTube. There is a battle of images, and a battle of tribes who claim to own the future. So how can imagery avoid being co-opted for these ends? Jake & Dinos Chapman’s reworking of Goya’s work has a vivid wit of its own, a level of engagement and delight that expresses what could be described as a ‘joyful nihilism.’ Their works are not only an allusion to a certain artistic and philosophical tradition, but a way to free scenes of spectacular and systemic violence from a system that they have unwittingly become a part of. By turning soldiers into an army of gargoyles or by removing the human element altogether, by adding glitter to a massacre or by placing a self-satisfied beachgoer amid dismembered bodies, the work helps to undermine ‘the seduction of violence in the age of spectacle.’(1) And yet the Chapmans do not seek solutions or consolations: they keep their eyes and minds wide open, refusing to shy away from depicting the absurd and irredeemable brutishness of our present age and human progress in general. 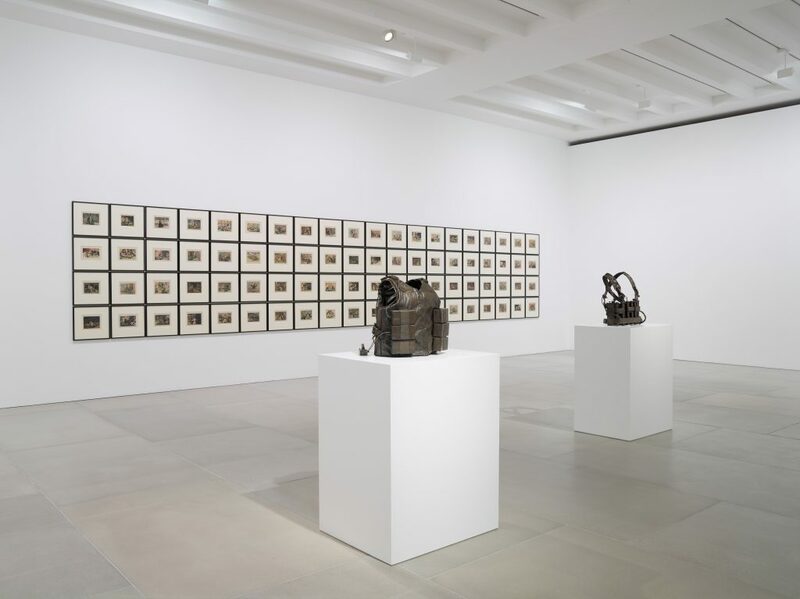 Jake and Dinos Chapman, ‘The Disasters of Everyday Life’, 2017, Installation view, Courtesy the artists and BlainSouthern, Photo Peter Mallet. 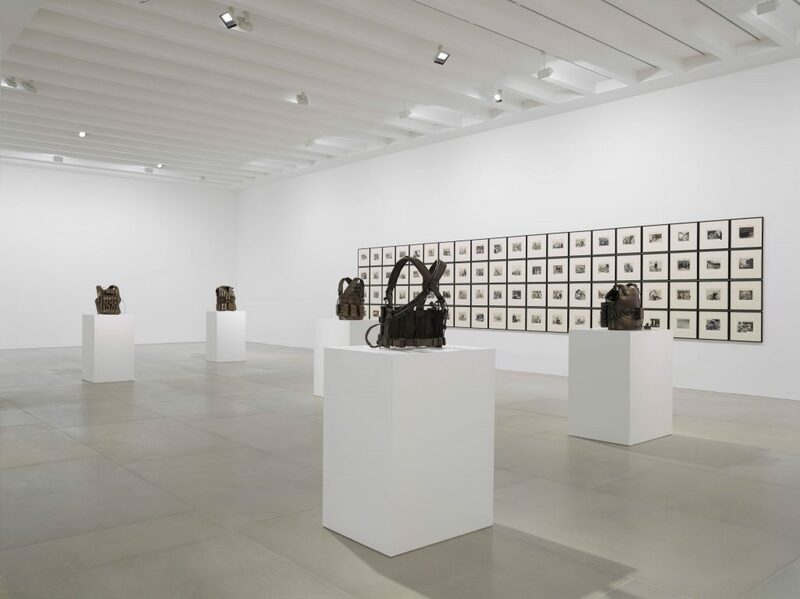 Jake and Dinos Chapman, The Disasters of Everyday Life, 2017, Installation view, Courtesy the artists and BlainSouthern, Photo Peter Mallet.